If you would have told me five years ago I would now be obsessed with spin, I would have thought you were crazy. As you know from following along on Instagram or my Weekend Highlights, spin classes appear quite often. Granted there is a certain type of spin class that I find challenging and enjoyable all at the same time. I recently visited CycleBar and their spin classes definitely deliver, with a fun and great workout. 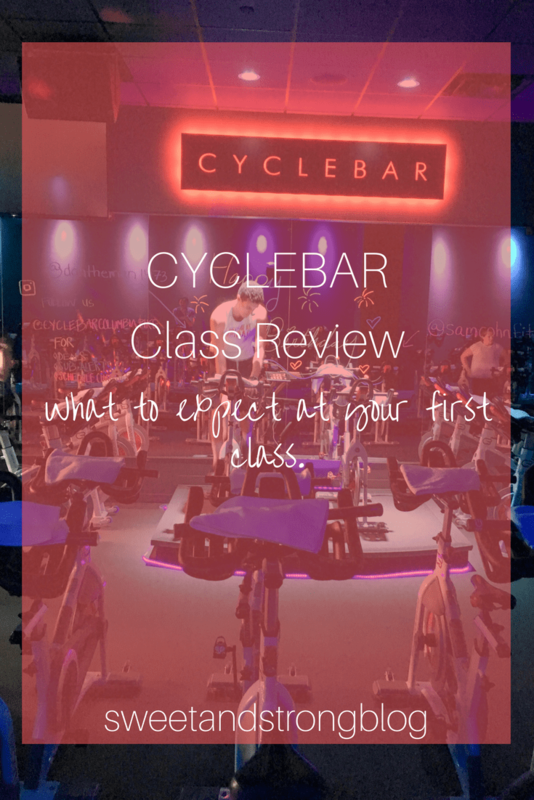 I wrote a class review for anyone wanting to visit CycleBar or try a spin class for the first time. While entering the CylceBar Columbia Pike studio for the first time I was immediately greeted by the staff at the front desk. Not being completely new to spin classes, I knew the general routine, but was unfamiliar with the studio. The staff showed me over to where you sign in and grab your shoes, handed me a complimentary water bottle, and then walked me to the locker room. They gave me directions on where to locate the bathrooms, showers, water, etc. I changed my shoes, grabbed a towel, filled up my water and was ready for the ride. If you didn’t know how to set up your bike, they had several staff members around to assist with adjusting the seat, handle bars, and getting your shoes clipped in. For any spin first timers I know trying something new can be nerve-racking, but the staff at CycleBar is so helpful and friendly, they will alleviate any nerves. Cyclebar classes range from 30 minutes to 50 minutes long. A classic ride is a mix of strength, endurance, challenges, hills, and drills all while upbeat music is playing. You follow along with the instructor, adjusting your gear and RPM to the settings or range they give you. You are constantly changing the settings, which truly maximizes your workout and makes the time fly by. To challenge your performance you can participate in Cyclestats. During registration you create a username that will appear on the board with your overall class rank or ranking during a sprint interval. I always like participating in the board as I like the competitive aspect and it motivates me. 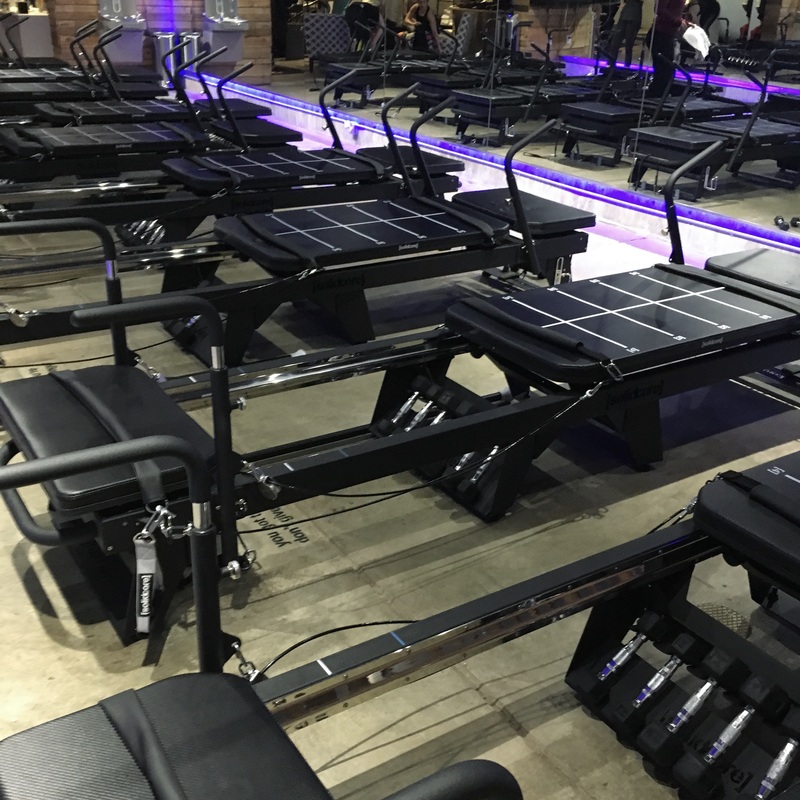 There is also one arm song in each class, where you grab a light or medium weighted bar and do a series of arm exercises while maintaining a slow ride on the bike. I like the arm series because it gives your legs a bit of a break. At the end of the workout the instructor will lead you through a cool down of slowing down on the bike, followed by stretches. 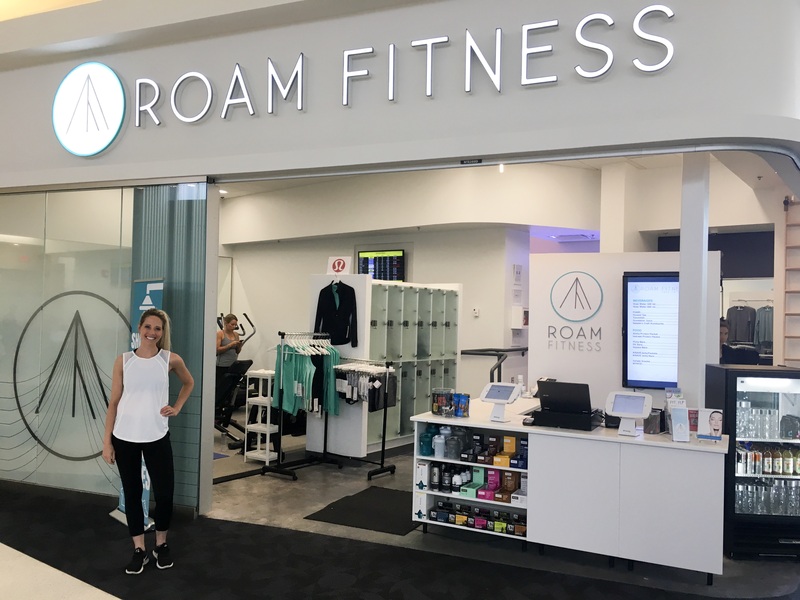 Pricing: If you’re a first time rider you can take a 30 minute intro class for Free or you can purchase an exclusive first time rider package. Otherwise prices vary depending if you want to purchase classes to use throughout the next few months or if you want a certain number of classes monthly. Class Size: There are several bikes. You get to choose your bike number, which makes it fun when signing up with a friend. I’ve never had difficulty signing up, but usually I try to book at least a few days in advance. What to Bring: I highly suggest having a pre-workout meal beforehand. Wear a tank top or t-shirt, as it can easily get warm in class. And I suggest tight-fitting leggings, capris, or shorts. You can either bring your own water bottle or use their complimentary bottle. Your shoes and towel are given to you and returned at the end of class. 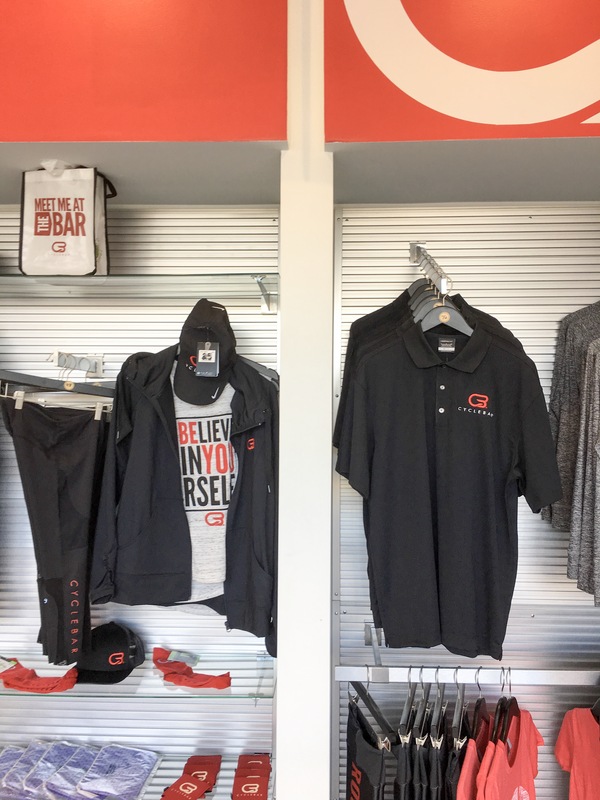 CycleBar also sells workout apparel. 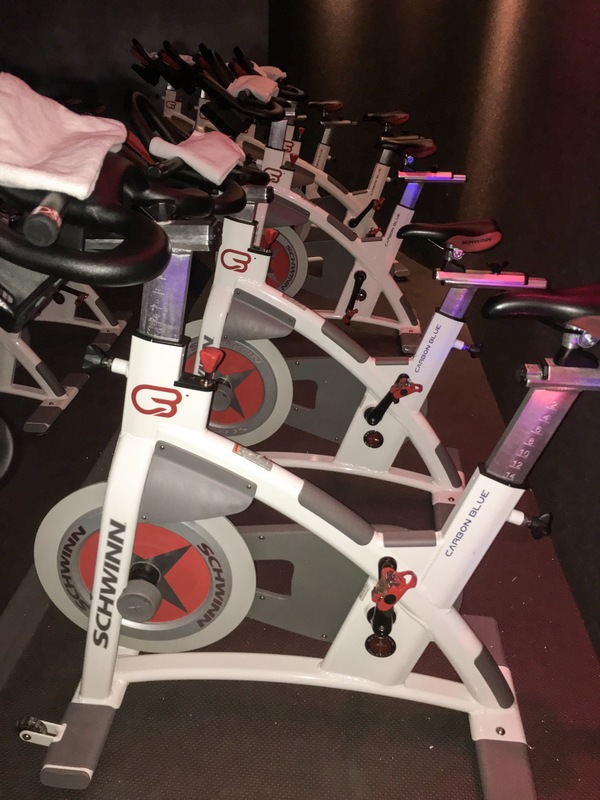 Locations: CycleBar has locations all around the US. Click Here to find one in your area. Would I return? ABSOLUTELY! I love being motivated by an instructor and having clear directions on how to change my gear and RPM’s, not every spin class has a monitor that gives you these stats. It’s also so fun to take a class with a friend and challenge each other on with your CycleStats. 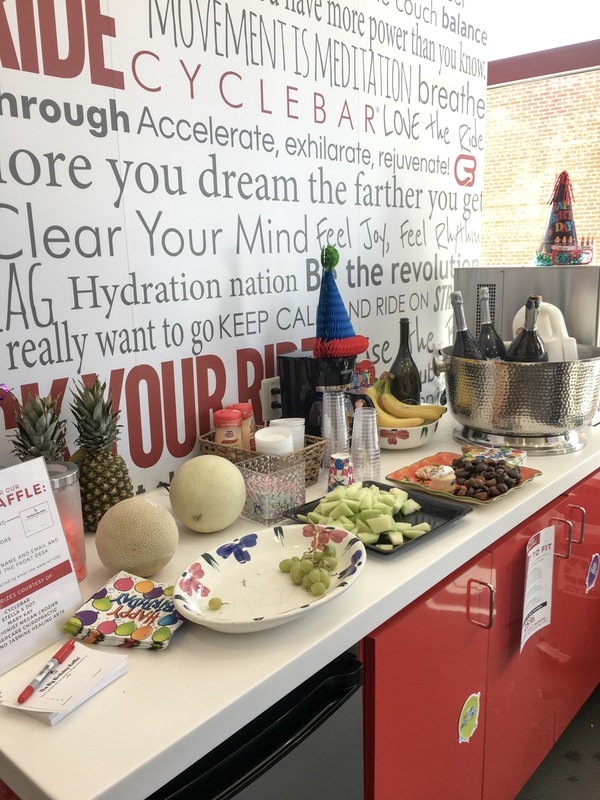 The kind staff at CycleBar Columbia Pike gave me a discount code to share with my readers. If you’re in the DMV area and a first time CycleBar rider, Register Here and use the code: sweetandstrong for a free week of rides. 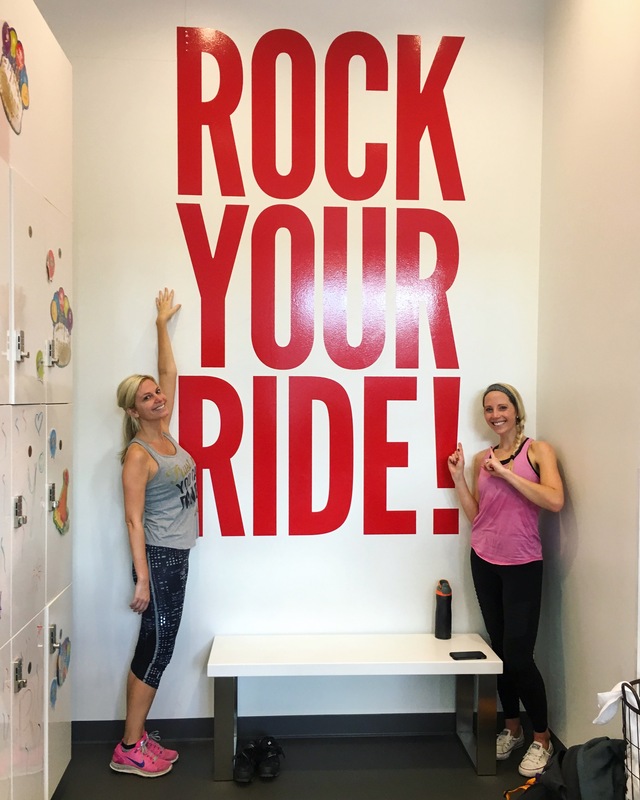 And be sure to follow @CycleBar and @CycleBar Columbia Pike on Instagram. Now go get your sweat on. Linking up with Annmarie for Wild Workout Wednesday and Amanda for Thinking Out Loud. And check out great Gym or At Home Workouts on my Fitness Page. Have you been to a CycleBar? What’s a new workout you tried recently? 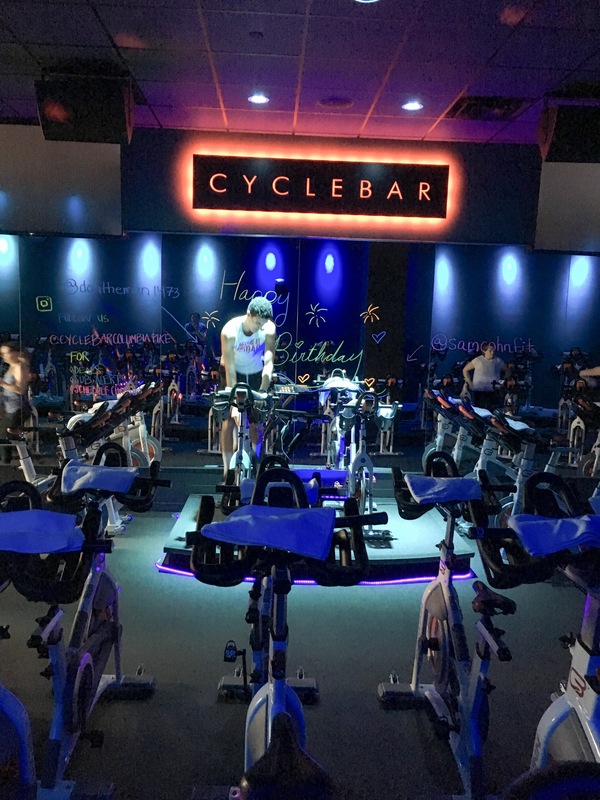 I teach Lesmills rpm but never have tried a cycle bar. I like that they incorporate an arm song into the workout. I bet that’s challenging. Yes the arm song is challenging but a nice break for the legs. 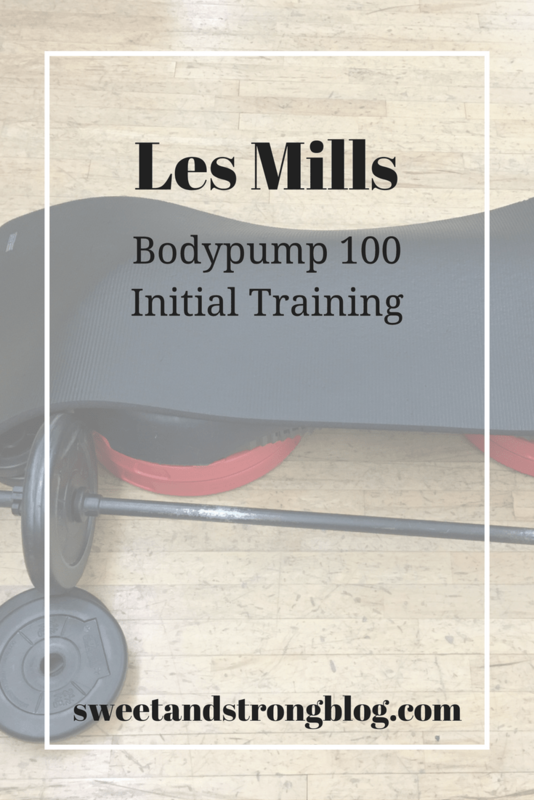 And I teach Les Mills Bodypump and have always wanted to try an RPM class but haven’t yet. 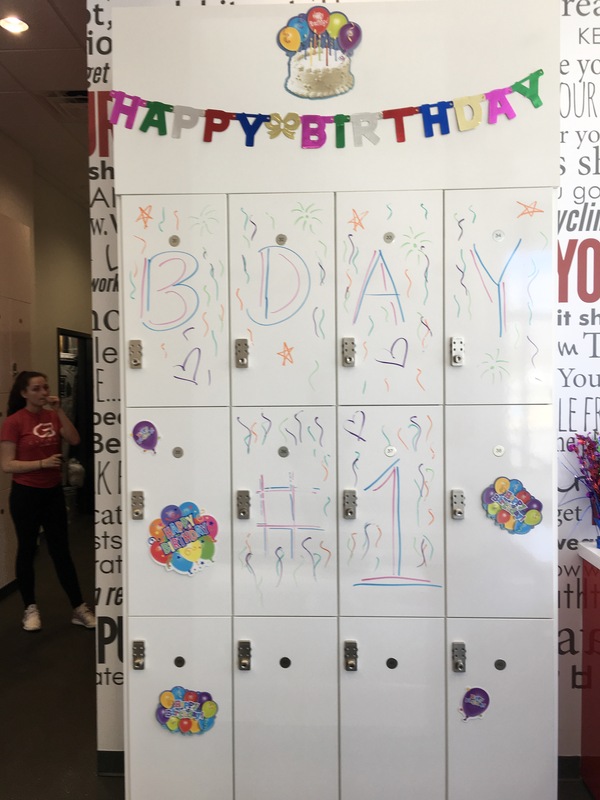 I live spinning and would love to try out a studio like CycleBar! You would love it Kim! I hope there is one in your area. How much fun! I’d love to try this studio sometime! You would love it Julie. Spinning is especially great during the winter months when it’s too cold to run outside. I definitely want to try a spin class/Cycle Bar after pregnancy – it sounds like a great workout! You definitely need to try it Sarah, warning though it’s addicting! The best right! I wish I could do it a few times a week, but most studios like this are kind of far from me and I travel to them on the weekends. 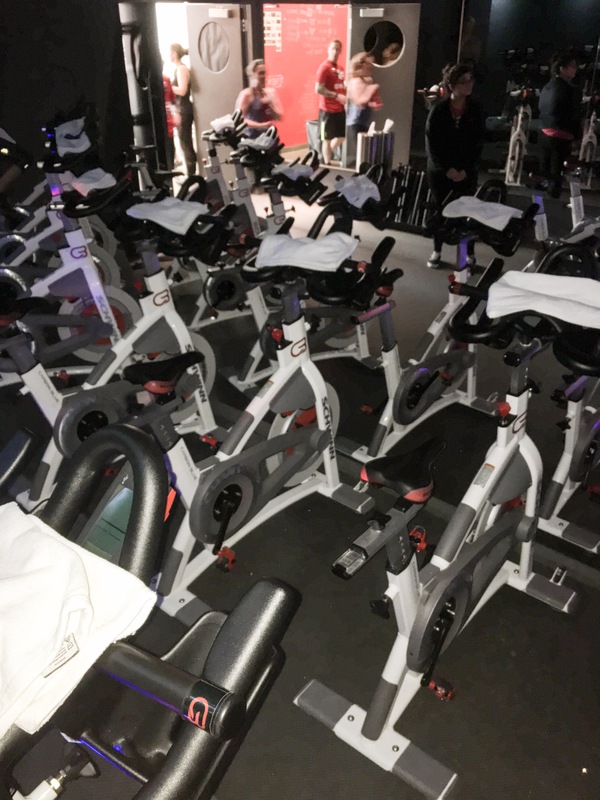 I’ve heard great things about Cyclebar but I’ve never been…I do really enjoy spin class! I’ll have to see if there are any studios in the Philly area – great review! If you have a studio you should definitely try it and let me know what you think! Love this! I haven’t taken a spin class in ages but I would love to! You def need to take a class soon Erinn, I didn’t think I was into spin, but now I’m totally addicted! Uh I know, these classes are kind of far from me, so I only go on the weekends. I just love not having to motivate myself, it’s a nice change. Sounds like an awesome studio! You should see if they have any in your area! Such a fun and great workout. This looks so cool! I don’t have one near me now because I live in a pretty small town in New Jersey, but I am moving back north (closer to NYC) in a year, and I will definitely have to look into CycleBar then! One of the things I miss most about living in a big city is all the fun exercise classes. Yes why do cities get all the fun classes, I have always said I want to bring them to the suburbs. I live about about an hour to 45 minutes away from these classes, so it is tough getting to them. Definitely see if there is a CycleBar in your area when you move.